Here are 10 tips to help you save this year and in years to come! The holidays are expensive, it is a fact! But there is hope to curb holiday spending and still enjoy them. Start on the road to saving somewhere, somehow! You won’t be sorry, and besides you can always go back to spending more if you want! Decide how much money you want to spend over the holidays. It seems simple but put action to your spending plan by using prepaid credit cards. Once you have determined how much money you plan to spend, get the cash and head to the store to load prepaid credit cards. Most stores, including grocery and pharmacies, have national credit cards (Visa, American Express and Master Card) that can be loaded with cash. Prepaid credit cards are accepted and used like any other credit card. They cost a few dollars to load, but with your budget set and your prepaid credit card loaded unplanned spending will be limited and impulse buying lessened. You could use the loaded credit card as a gift, wouldn’t a teenager love that? 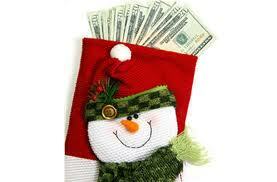 If family plan to send money to kids for Christmas, no problem — load that cash to the prepaid cards too! To save time, money and hassle use a gift registry for your Christmas list. No family member is guessing at what the kids want. Have everyone in your household (mom, dad and kids) build a gift registry for the items they really want and create a Christmas Gift Registry in their name. Most stores offer gift registries that are easily accessed and created online. Share the registry with each other, including out of state family. Encourage your entire family to create a gift registry! But no peeking back at the registry after it’s created to see what has been purchased. Have a variety of price points, size and item types. Do the kids want a really cool pair of shoes? Do you want a certain kitchen gadget? Balance your list with items wanted and needed. Don’t forget the practical! Adding items of need now means not having to buy them in the future; saving on your family budget. When sharing the registry it helps prevent being stumped on what to buy each other and may alleviate receiving gifts you really do not want or need. Also, this will make sending the gifts nice and hassle free, too. When ordering online, most companies will gift wrap and ship for you (many times for free! )— This saves you time, hassle and money: no gift wrapping, boxing, carrying, standing in line, extra luggage fees, etc.